Tuesday’s contest also will mark the 50th anniversary – to the day – of the first Governors baseball game played at the current location. Austin Peay State University opened then Governors Park, April 16th, 1970, with a twinbill split against Tennessee Tech. The 2019 Governors have posted a 3-1 record during the current homestand, including a 2-1 Ohio Valley Conference series victory against Morehead State. 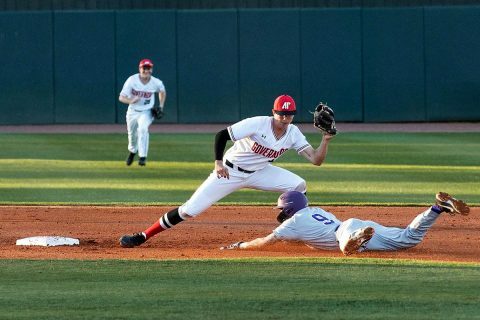 Austin Peay will hand the ball to left-hander Nolan Monaghan, who opened the homestand with a victory against Evansville, last Tuesday. Southern Illinois is wrapping up a five-game road trip with Tuesday’s contest. The Salukis are 1-3 during their excursion, beginning with a 9-8 victory against Eastern last Tuesday. SIU then lost three games at Bradley in Missouri Valley Conference play. Fifteen different Governors have started a game in the season’s first 34 games. Only two players have started every game in 2019: center fielder Garrett Spain and utility man Parker Phillips. Senior catcher David Martinez moved into the No. 3 spot in the batting order, March 29, and has batted .390 (16-41) with three homers and 13 RBI. His .380 batting average is 13th among NCAA catchers (64th overall) and fourth among all OVC hitters. Center fielder Garrett Spain has reached base in all 34 games as a Governor. He leads all OVC freshmen in batting average (.353), home runs (5), RBI (36) and runs scored (32). Spain also is ranked among Division I freshmen in batting average (11th) and RBI (7th). Junior utility man Parker Phillips became the first Governors batter to hit 10 or more home runs in three seasons, hitting his 10th of 2019 against Evansville, Tuesday. Phillips is APSU’s career leader in home runs (42) and times hit by pitch (49). Senior Aaron Campbell started all three games against Morehead State in left field and led the Govs with a .500 batting average (6-12) and had a team-best three doubles in the series. Freshman third baseman Gino Avros has reached base safely in his last 15 games, posting 16 hits (.271 BA) and 10 walks (.403 OBP) during the streak. Additionally, has scored 25 runs over his previous 20 games. Sophomore Bobby Head has a hit in 12 of his last 14 games. He batted .333 (14-for-42) during an 11-game hit streak to start the run. That streak included a seven-game streak with an RBI. 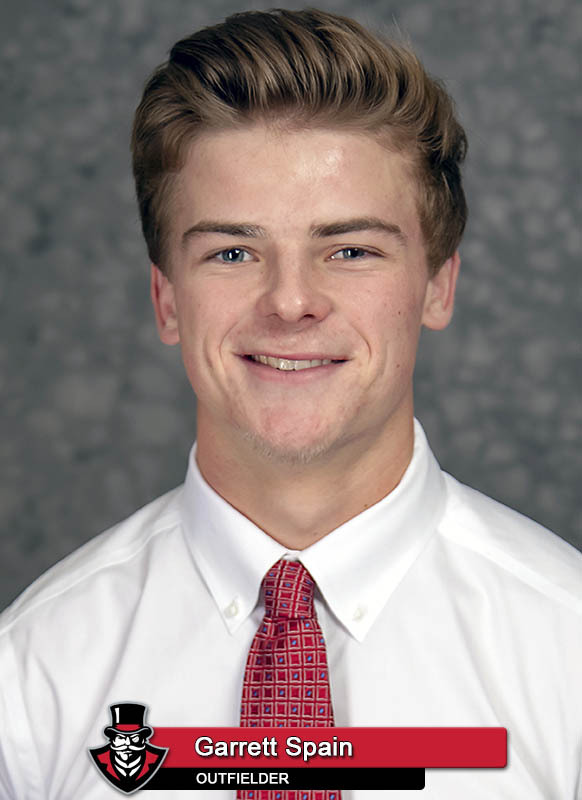 Freshman designated hitter Matt Joslin was held to one hit during the Morehead State series, again that hit was a RBI single with the bases loaded. He is batting .714 with eight RBI in bases-loaded situations this season. Redshirt senior Garrett Kueber has made 21 consecutive starts at shortstop and coincidentally has a hit in 19 of those 21 games. He has batted .277 (23-83) during the streak, primarily as the Govs No. 2 hitter. Junior outfielder Malcolm Tipler saw his 17-game reached safely streak end in Game 2 of the Morehead State series, but bounced back with a double and walk in Saturday’s series finale. Sophomore first baseman John McDonald saw action in all three games of the Morehead State series. He had two walks in his Game 2 start and notched a base hit in Game 2 of the set. Junior first baseman Andrew Flaherty started three of last week’s four games at first base. He batted .500 (5-10) with two RBI and a double in the three games. Left-hander Nolan Monaghan picked up his first Austin Peay victory against Evansville, April 9th. It was his second start as a Governor. The Wasilla, Alaska native opened with 4.1 scoreless innings of work before hitting his pitch limit. Monaghan struck out six batters – one shy of his career high – four of those Ks ending innings and another that ended his outing. Monaghan is 1-1 with a 3.52 ERA in his two starts this season, with 13 strikeouts in 7.2 innings. Tuesday’s meeting is the second half of the home-and-home series between the Govs and Salukis. SIU won the March 12th meeting, 3-2, with two eighth-inning runs against the APSU bullpen. Southern Illinois owns a 26-17 lead in the all-time series. The Salukis have won the last three meetings in the series. Austin Peay is 5-3 in midweek games this season, including a 3-1 record at home. Among regular starters, catcher David Martinez leads the Govs with a .367 batting average in midweek games. Shortstop Garrett Kueber (.324), center fielder Garrett Spain (.321) and right fielder Parker Phillips (.314) are each batting above .300.